It's starting to feel a lot like summertime in the garden. 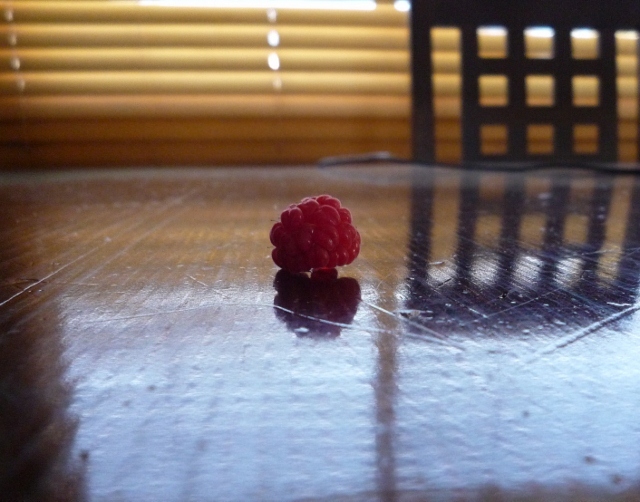 The spring flowers are well and truly out, the weather is warm, we've had our first summer rain (although more would definitely be appreciated) and today I harvested my first raspberry. 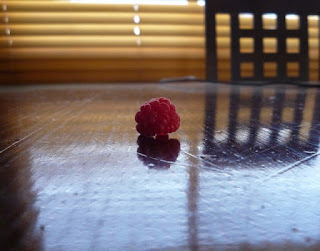 Nothing beats a fresh warm raspberry straight from the bush. It's a rare occasion that any make it inside. I'd have to say it now even trumps my all-time favourite the strawberry. It's a glorious day with not a cloud in the sky. Not too hot with a gentle breeze blowing. 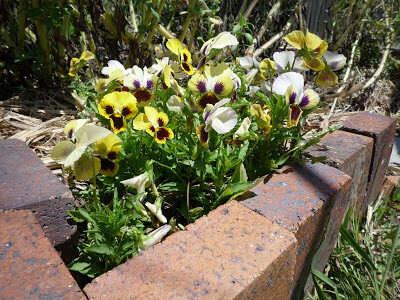 It's a lovely day to be outside so I thought I'd show you some of the flowers that are in bloom at the moment. 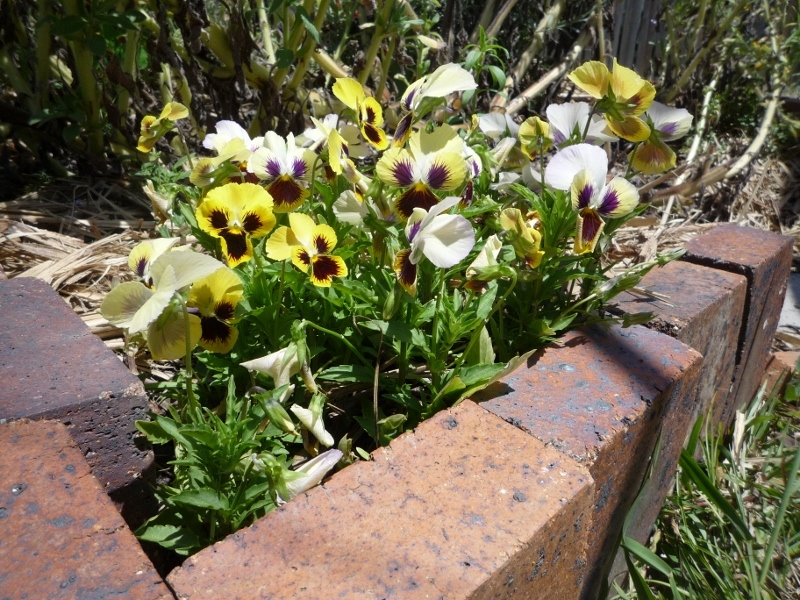 Pansies always brighten the trip to the washing line with their smiling faces. This verbena has perked up with some more water but the others are still sulking. Dance your hearts out ladies. Hopefully I'll be able to divide this gladiolus next year. This is the second flower spike. The bulb came up on its own a couple of years ago and has been giving me a beautiful flower spike each year since then.